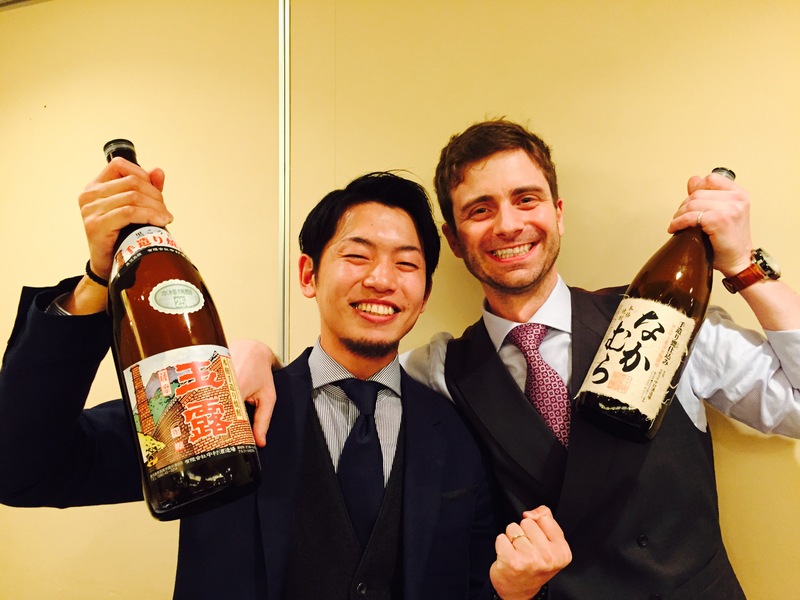 Tokyo: Sweet Potato Shochu with Yamato Zakura and Nakamura Distilleries! 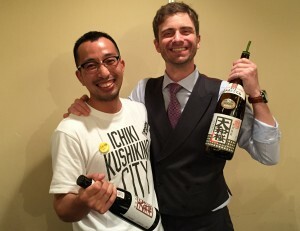 Wakamatsu and Pellegrini at the FCCJ in March 2015. Tekkan Wakamatsu (Yamato Zakura) and Shinya Nakamura (Nakamura) are bringing their best sweet potato shochu to Tokyo for two hours of tasting, talking, and learning! This small-scale event is the perfect chance for anyone new to shochu to talk to the men who make it and learn how best to enjoy it. Space is extremely limited, so use this link to reserve your spot. The cost of admission gets you a LOT of shochu and some otsumami (drinking snacks). On Japan Cafe is a wonderful space in the Harajuku/Omotesando area that is completely non-smoking and offers free Wi-Fi. Nakamura and Pellegrini at the FCCJ in March 2015.